I received the Kodak EasyShare C813 as a Christmas present in 2009. Christmas 2010 just passed and I still use it. The picture quality is awesome, as well as the video quality. It came with a USB cable that makes it easy to transfer the pics I take on to my computer. I can also just use the memory card for that. There are many different settings on the camera as well. I mostly use it to snap pictures of my two nieces. They are ages 4 and 6 so it is hard to get them to stand still for pictures. The Kodak EasyShare C813 has a feature strictly for that. It still takes awesome pictures, even if the subject is in motion. I believe that it takes better pictures outdoors. Sometimes my indoor pictures come out a little fuzzy. The ones taken outside are always beautiful. Another thing I love about this camera is the battery life. Cameras I have used in the past always seem to have horrible battery life. However, the batteries always seem to last a long time with this one. 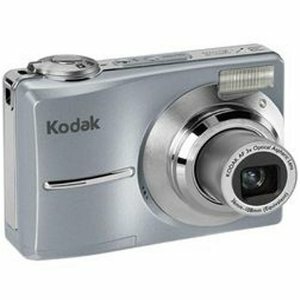 Overall, the Kodak EasyShare C813 is a very nice camera and i would reccommend it to anyone.